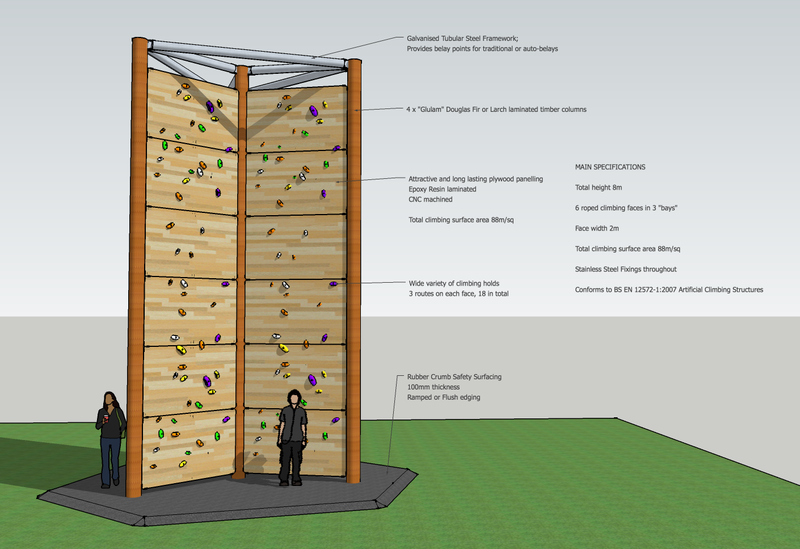 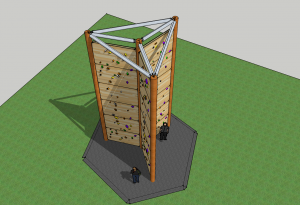 Our monster climbing tower is 8 metres high, with 6 roped wall faces. 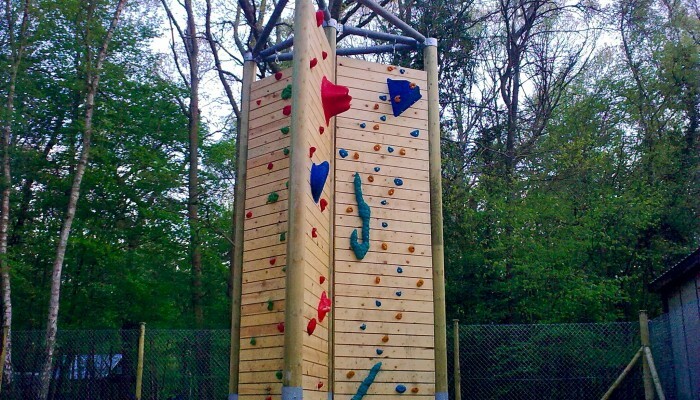 With two or three routes on each face, this can provide from 12 to 18 different routes to try! 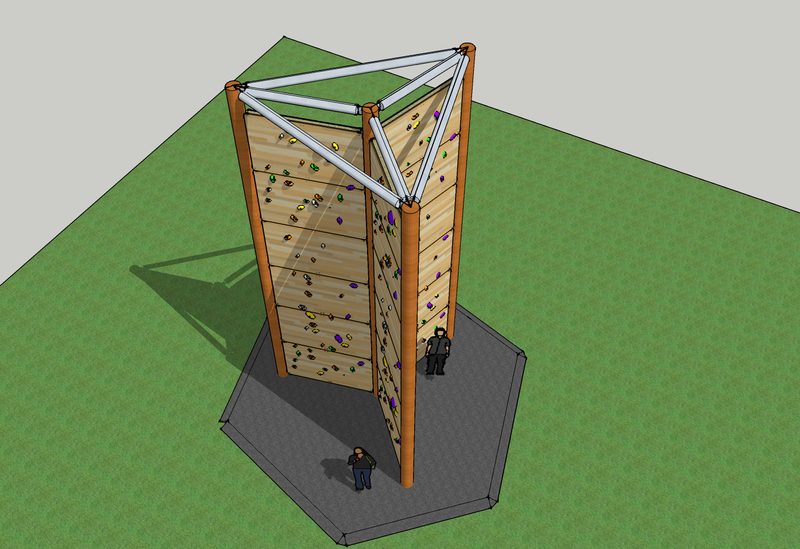 It’s good looking and long lasting. 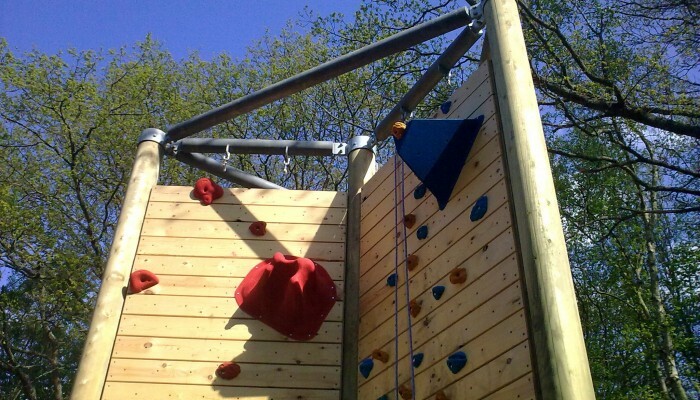 Giant manufactured “Glulam” timber poles combine with a galvanised steel framework that locks it together and provides the belay points. 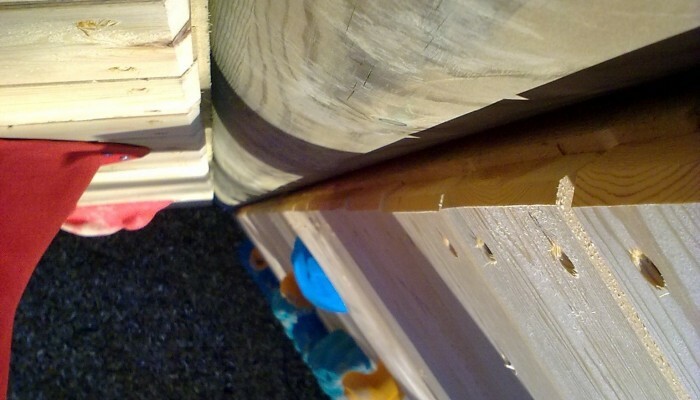 It is secured down onto a huge concrete base, hidden away under the safety surfacing. 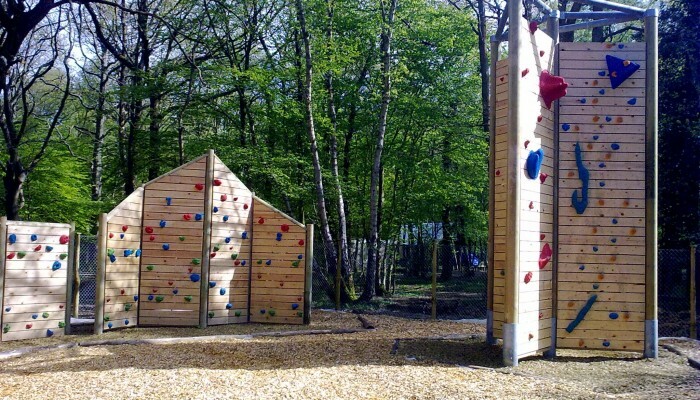 The routes on the wall will be set up to suit your ability range – from child beginners through to expert adults; or expert children to beginner adults! On site training can be provided for staff who will be leading sessions on the climbing tower, enabling them to confidently instruct all ages.